This statistic presents a ranking of the of digital retailers from which cross-border digital buyers worldwide made their most recent cross-border digital purchase as of October 2018. 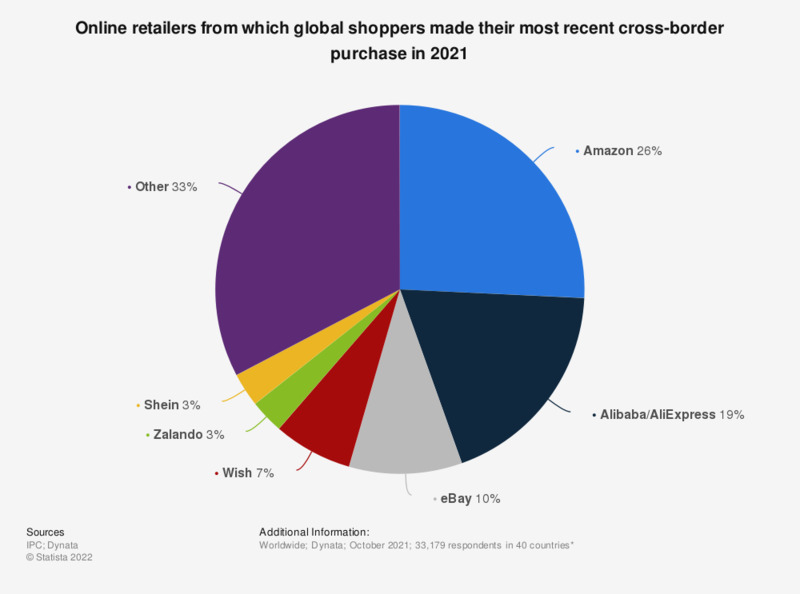 According to the findings, 23 percent of most recent cross-border purchases by cross-border digital buyers was completed through Amazon. Coming in second was Alibaba / AliExpress with 16 percent of respondents reporting recent cross-border purchases from the e-commerce retailer.